Identify scams and stay safe!! Investment scams are on the rise in Australia. 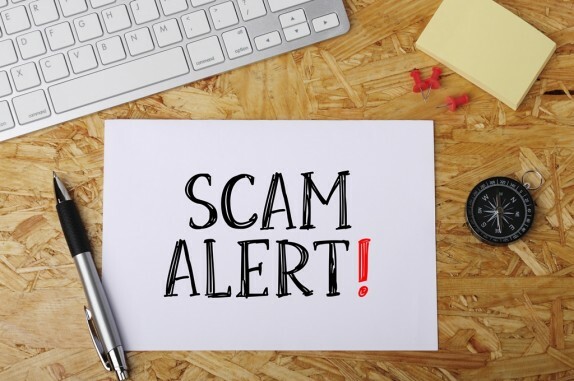 A 2016 report from the Australian Competition and Consumer Commission titled Targeting scams: Report of the ACCC on scams activity 2015 found that individuals over the age of 45 accounted for 70 per cent of total losses from scams. The most recent scam we have had reported to us is in regards to Centrelink. A client will receive a call (or have a phone message left for them) from a robotic voiced lady, who claims to be from Centrelink. She says that due to no response from correspondence issued to the client, their client file has been moved to Canberra head office. To get any future pension increases the client will need to apply for these. The instruction is to call the head office by calling back a number and quoting a reference number. All reports of the scam have had the same call back number and the same refence number (080456). Centrelink have confirmed this is indeed a scam, and on several occasions have reported this to the ACCC (Australian Competition and Consumer Competition). It is important to note that Centrelink DO do contact clients by phone, but you should be cautious of unexpected phone calls claiming to be from them. You can ask for the caller’s name and contact details, then call Centrelink on one of their payment lines to check. They will NEVER ask you to reply by email or SMS to any electronic message sent to you. check that it’s a reputable company with a secure site – there should be a little padlock in your browser window. Never send your financial information by email. Remember to be suspicious of anything that sounds too good to be true. Scam emails, websites, SMS, social media messages, phone calls, and letters can look or sound very convincing. Please do not hesitate to contact your adviser if you are unsure of any correspondence or contact recieved. Remember if you are EVER in doubt as to the validity of a phone call or correspondence received, call Centrelink directly and enquire. The Older Australians line is 132 300. Note: You can tell a website is safe/legitimate usually because the website will start with “https” – the “s” stands for secure. If in doubt – NEVER click on a link.